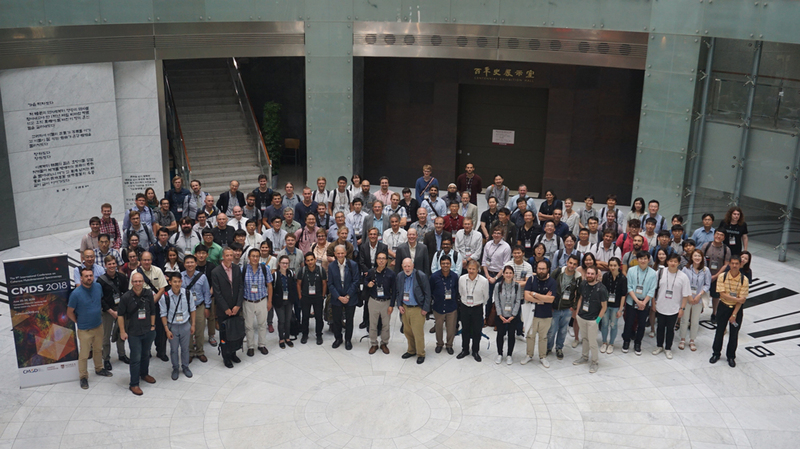 CMDS 2018 is the ninth conference of a series started in 2002 and follows the meetings held in Seoul (Korea), Madison (USA), Rigi-Kulm (Switzerland), Kyoto (Japan), Minneapolis (USA), Berlin (Germany), Eugene (USA) and Groningen (Netherlands). CMDS 2018 will be held in Seoul, Korea, from June 25, Monday to June 29, Friday, 2018. For general inquiries, please contact Susan Tak. The abstract submission deadline is March 31st, 2018. Please select your preference for oral presentation or poster presentation. Presenters should print and bring the poster to the conference site. The poster size should be 800mm(W) x 1200mm(H). Registration fee includes a reception, a banquet and 4 lunches. For more questions, contact heather.jung@cpmg.co.kr. For cancellation received before June 15, 2018, we will refund the paid amount minus a 20% administrative fee. No refunds for cancellations received after June 15, 2018. An exception will be made if your visa application is denied, we will then refund the entire amount. Take AREX at Incheon Airport(for Seoul Station) and get off at Seoul Station(last station). Following 5 hotels offer special room rate for CMDS Participants. Please fill the downloaded reservation form and send it by email using the following contact information. ui-LRT Sinseoldong → Transfer to line 6 at Bomun → Korea Univ. Bus 144, Jangchung-dong/Dongguk Univ. Entrance → Korea Univ. Line 6 Chung-gu station → Korea Univ. Line 3 Dongguk Univ. → Transfer to Line 6 at Yak-su → Korea Univ. Bus 144, Jangchung gymnasium → Korea Univ. Line 6 Yak-su → Korea Univ. Bus 173, Cheonggye 6-ga/Ogansugyo Bridge → Korea Univ. Line 1 Dongdaemun → Transfer to Line 6 at Dongmyo → Korea Univ. 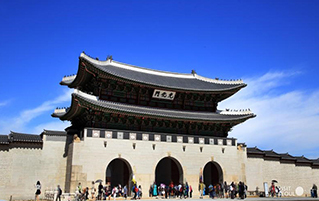 Gyeongbokgung was the main royal palace of the Joseon dynasty. Built in 1395, Gyeongbokgung served as the home of Kings of the Joseon dynasty, the Kings’ households, as well as the government of Joseon. 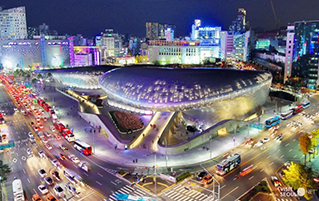 The Dongdaemun Design Plaza, also called the DDP, is a major urban development landmark designed by Zaha Hadid And Samoo. The landmark is the centerpiece of South Korea’s fashion hub and popular tourist destination. Myeong-dong is mostly a commercial area, being one of Seoul’s main shopping and tourism districts. 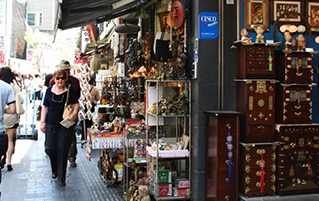 Over 1 million shoppers pass through this area each and every day. 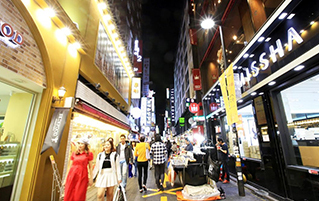 To international visitors, Myeong-dong is a stunning shopping district with countless shops and restaurants. 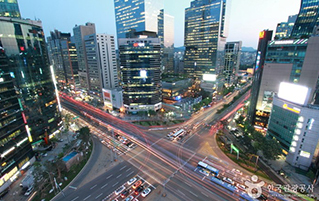 Gangnam Subway Station area is the prime district for those living south of the Hangang River. Many people tend to gather at Gangnam Subway Station, as the location is geographically and commercially suitable as a meeting point for social gatherings, events or personal engagements. Coex mall is a shopping mecca for global brands in fashion, accessories, beauty, lifestyle, and others. It also has a large movie theater complex and a wide variety of fine dining establishments. 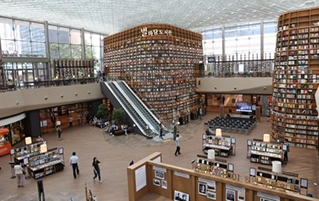 You can also have special experiences at tourist sites like Coex Aquarium, Hallyu Studio and Starfield Library. This restaurant is one of the best Korean bbq place in Korea which started in 1975. They serve good quality of sirloin from Korean native cattle. Charcoals under the grill give some smoky flavor to the beef. This restaurant has many different Korean style seasoned fried chicken menus and good beer. Have a wonderful night with your colleagues here. You can enjoy very traditional Korean food here. This place is famous for Korean course meals and Samgyetang (Ginseng Chicken Soup). This place has been introduced Through TV program many times as one of the Best Korean bbq places in Seoul, especially pork. The servers prepare the food on the grill and help you cook it. This place is not very big or fancy, But they serve very simple homemade style menu. Visit here and try bulgogi Bibimbab (mixed rice with various vegetables and beef) and other homemade style menus. If you are looking for other Asian food, This place will be perfect. This restaurant serves local Vietnamese menu and it’s very popular place for Korean people. Copyright CMDS2018 | All Rights Reserved.